VisIt is a visualization application highly capable for computational fluid dynamics and other subjects. It is open source and can run in parallel on Ranger. 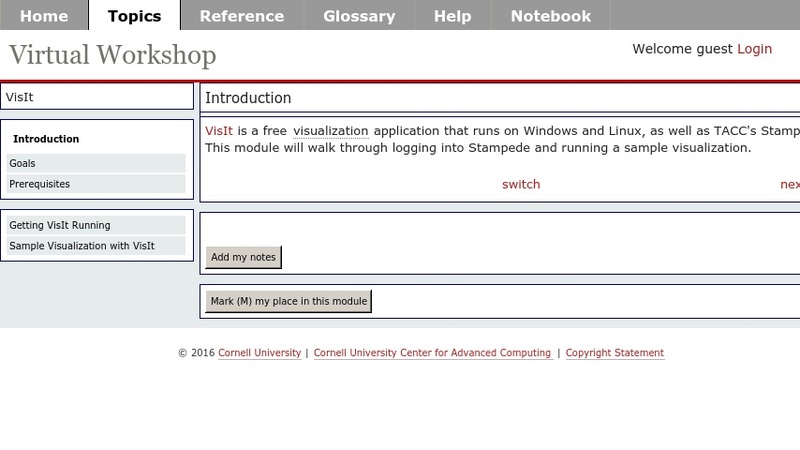 This module includes a lab which covers visualization of a sample dataset both on a local computer and on TACC resources. It is a free visualization application that runs on Windows and Linux, as well as TACC's Spur. This module will walk through logging into Spur and running a sample visualization.